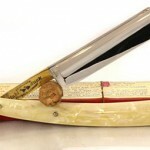 When it comes to using a straight razor, you’re not just doing it for convenience. There’s enjoyment in there, and there’s also style and refinement. For a lot of us, a straight razor just FEELS better (in every sense). In today’s Boker straight razor review, we’re going to look at one of the premium brands available. Do Boker live up to our expectations of style? Boker straight razors have a long history. 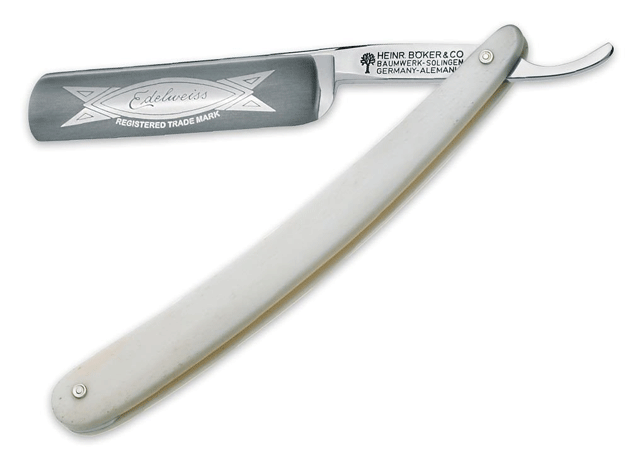 Back in 1869 is where it all began when quality Boker razors were created in Germany. Boker has garnered flawless global notoriety over the years owing to their refusal to compromise on quality and uniqueness. It is a guarantee that each Boker Razor has undergone well thought-out crafting with the selective and new Boker razors having undergone 170 individual production steps. 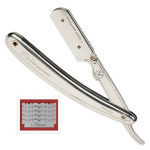 The level of subtle element and control of quality in these razors is almost unrivaled at this value point. Boker steel razors are a combination of both carbon and stainless steel, possessing an incredible edge. The Boker 6/8 carbon steel blade is one of the thinnest blades ever crafted. It is a wonderful razor with a top notch performance. 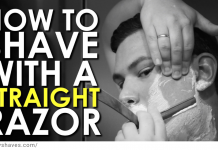 Naturally, you can get a much closer shave. 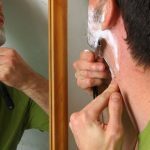 By shaving against the grain, it permits you to shave close without suffering from razor burn frequently experienced with disposable razors. Your face after this is similar to that of an infant smooth face. The Boker razor made in Solingen Germany is professionally honed by hand, portraying a sign of higher knowledge. Additionally, Solingen steel is the most highly regarded. Dovo, Dubl Duck, and many others also use Solingen. Boker handles and scales are well crafted and some of them look spectacular. Some are crafted out of authentic genuine buffalo horn. The handle is well weighted and fits nicely into the curve of your hand. 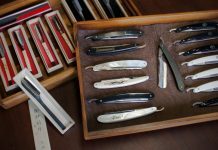 Additionally, every Boker straight razor is serialized and packaged in a historical container which includes the certificate of authenticity. Low-cost straight razors are so thick. 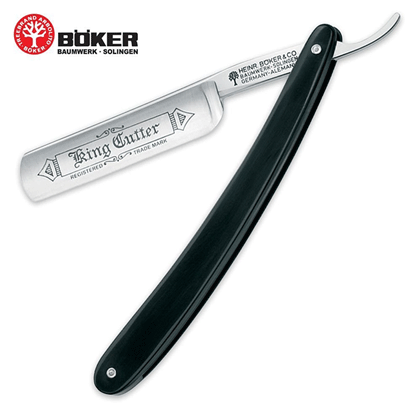 A sign of the quality of the Boker straight razor is the effective “finger nail test”. Just the edge of a sharpened steel razor can be bent visibly by your thumbnail, returning back to its original shape upon release. This is impossible with cheap razors due to their thickness. The ivory structured handles are made of a synthetic material that is water-resistant, protecting them from any foreseen damage that may be caused by water. Don’t let this stop you drying your razor properly after use though. With the level of quality that comes with Boker razors, it goes without saying that you will not be visiting the shop to buy a new one after a couple of weeks. 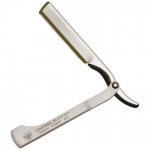 By investing your money in this razor which is of best quality, you get to understand why quality supersedes quantity. If like me, you view straight razor shaving as a way to reduce your shaving bills, then a Boker is something that will not let you down. It definitely represents bang for buck. 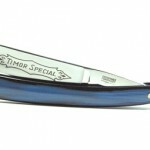 The Boker 6/8 silver steel straight razor no longer has jimps on the upper and bottom part of the tangs which is a desirable feature for some users. 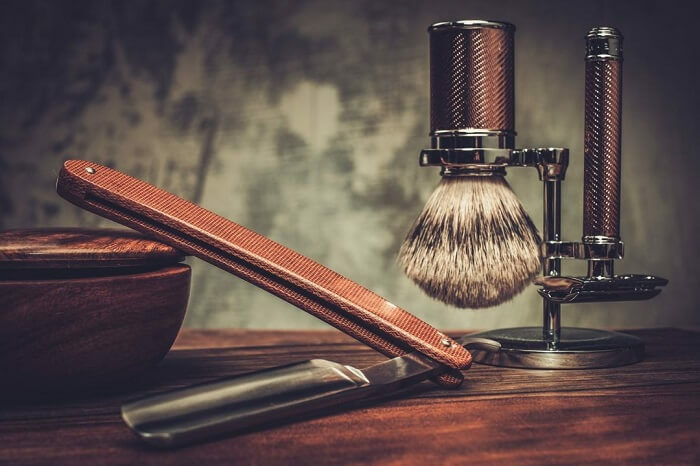 Whatever straight blade you opt for shaving, it is likely going to take you some considerable amount of time to get the hang of. But it’s not just time you’ll spend shaving that we’re talking about here. You need to take the time to hone and sharpen this straight razor so as to ensure the blade remains sharp before its next usage. 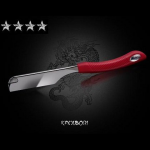 For a first time user you need also time to familiarize yourself with the working of the blade which unfortunately is extra time being spent. However the more you use it, the more you’ll learn and the faster you’ll become. The initial purchase cost of this razor is pretty good compared with other straight razors, but it’s still quite an outset. It is important to note this is not the only cost to be incurred. You need to account for the materials needed to ensure proper storage of the razor plus the straps for keeping the Boker razor sharp. This basically involves a strop and possibly a honing stone. 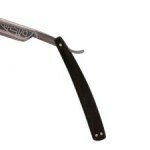 Remember shaving with a Boker straight razor is a craft any user must learn well. 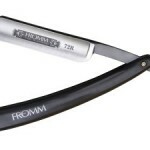 If this is going to be your first straight razor, a Boker is a good place to start. You can also consider a Dovo. 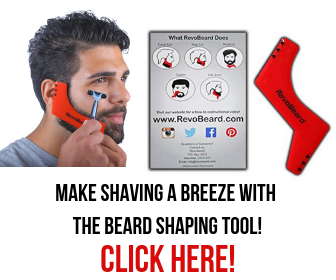 You don’t want to buy a cheap razor, and you don’t want to invest a lot of money unless the razor is worth it. On both these points, I can safely recommend a Boker.